Virginia Stuart-Taylor collects postcards the way other people collect stamps. And she won’t leave a new country without picking up something arty, either. 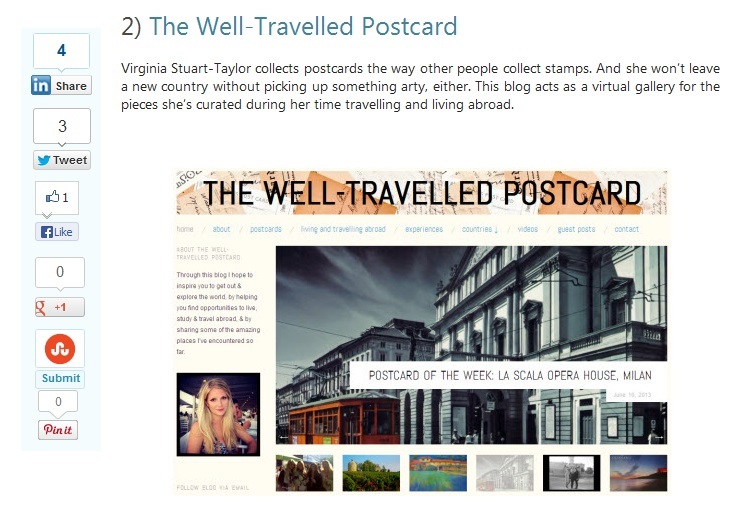 This blog acts as a virtual gallery for the pieces she’s curated during her time travelling and living abroad. For those of you outside of the UK who might not have heard of First Choice, they’re a large chain of travel agents across the country, that sell predominantly all-inclusive holidays. To be honest I don’t think I’ve been on one of their holidays, but I did coincidentally apply for the TUI Travel graduate programme (TUI Travel is the parent company of First Choice) while I was still at university. Tapas and Rioja Wine anyone?